Summer comes with vacations in the sun and the solstice which offers long days to enjoy the outdoors. Whether at the cottage, the beach, camping or traveling, we hope that your summer will be filled with joyous fun. During the summer, we will continue to consolidate Octopus 5 and the mobile. Our goal is to have you want to start using these versions in the fall. The fifth edition of the Octopus Users Day was held on May 28. Once again, it was a great success because of the number of participants who made the rooms vibrate with their energy! For us, it is always a pleasure to welcome you to and share our knowledge and talk about the improvements in Octopus. These exchanges never fail to give birth to new ideas. And as this year was no exception, we want to thank you for being with us. 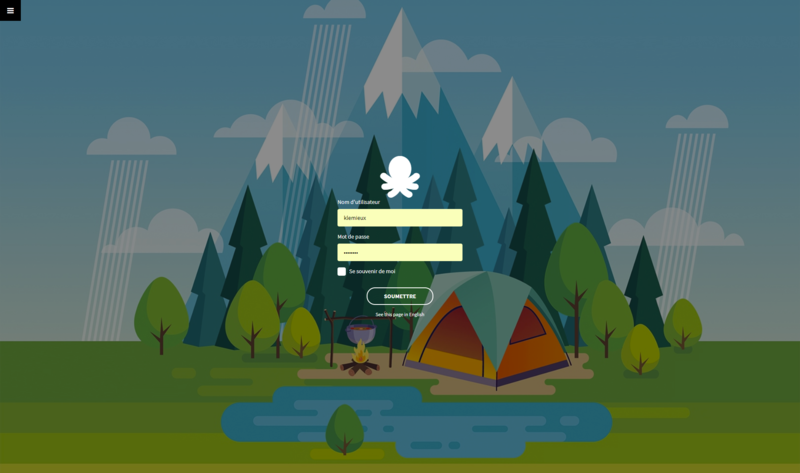 This new feature will transform the use of Octopus forms. The library is built continuously with the Octopus form fields. It makes it possible to exploit the answers given during creation and when updating requests with a form, in the advanced searches and the lists. With this feature the form remains accessible in the Detailed description field and the edited information is captured in the request history. When you see the possibilities offered by the custom fields, you will want to review your forms and encourage their use by Octopus users. We have provided you with documentation to explain in detail the Custom Field Library and prepare for Conversion to Custom Fields. In addition, webinar sessions will be available for your questions. And as always, you can contact us for more information. Three new features that come together and that will transform the use of Octopus. Octopus 5 is the Web version of the tool, in addition to doing your daily work, you can enjoy new features like the favourites section. The mobile, of course, aims to allow easy access to Octopus for people on the move. Here too we will have new possibilities like adding a photo directly to an activity. In a context of mobility and ease of access to Octopus from a browser, hosting attachments becomes essential to ensure that the information is available at the right time. With the security of this data at the forefront of our concerns, the new solution will be secure and will provide even more control over access to attachments. As always, reference information will be at your disposal to help you in your use of these new solutions, which will gradually be available in the fall. To discover in detail all the new features since the last newsletter and more, visit the Release Notes page.